You might not think that your website has a large impact on your business but you would be wrong - perception matters and outdated websites could spell trouble for your real estate business. An outdated website - which includes not having a responsive website - creates a negative perception of your business. We take a look at some of these perceptions and how you could address the issues before they affect your bottom line. An outdated website creates the perception that your real estate business is going out of business - this goes as far as updated news or press releases displayed on your website. If you have old news or press releases on your website, customers are going to think that you are either going out of business or even worse that you are already out of business. Luckily, with Entegral’s Office Management System (OMS) you can easily load news and press releases that will feed to your website. You can even schedule the news so you don’t even have to load new news on a daily basis! A website that has outdated information will most definitely cause you to lose business when it is hard for visitors to find phone numbers or email addresses, broken contact forms and confusing navigation will only further frustrate visitors. This is not only a frustrating experience but also creates the perception that this is the type of service that they can expect from you offline. Being “with it” could have a few different meanings - and although this might seem like trivial teenager speak it is far from it. For practical reasons we will focus on the design factor of the website - which is a significant factor in persuasion of perception. Stanford’s Persuasive Technology Lab found that almost half (46%) of people say a website’s design is the number one criterion for discerning credibility. 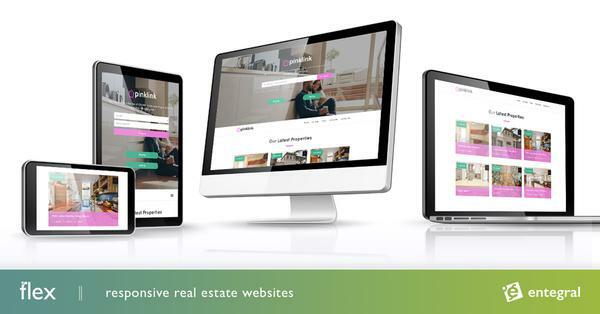 Entegral’s Flex responsive real estate website solution not only adapts to any device it is viewed on, it is also a testament to clean, simple and modern web design. A recent WSJ study found more than half (54%) of small to mid-sized businesses are concerned with “technology outpacing their ability to compete”. On a website, technology cannot be ignored and websites that run old technology creates the perception that the company as a whole face similar technology incompetence and in a fast-paced world nobody wants to deal with that. 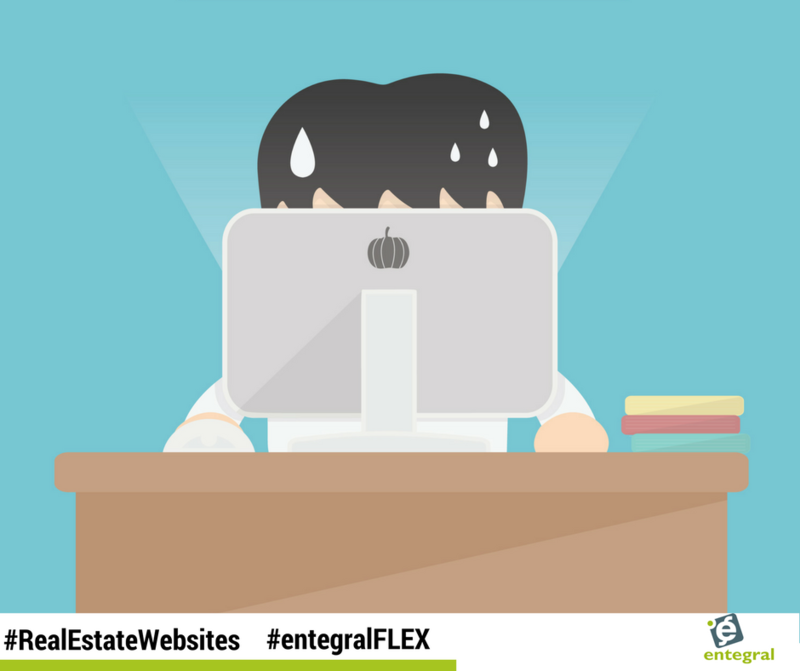 Because our Flex websites are hosted on the cloud and are constantly tweaked and updated to ensure you are always on the leading edge of web technology no visitor will be able to blame you of being a technophobe. Most outdated websites, unfortunately, create the perception that if a visitor enters their details into a contact form for example, that it won’t be kept safe and they could expect spam emails to flood their inboxes as soon as the press submit. We take every possible precaution to ensure your details and your clients' details are kept safe. If you are using our newsletter and property alert functionality we use the latest best practices to ensure you are not flagged as a spam account. Websites are your online reputation of your offline reputation and if you have an outdated website visitors are left wondering if you even care about your business. Lastly, we look at a factor that not many people have even considered. Recruiting future employees - your outdated website might actually be causing you more damage than just losing clients.